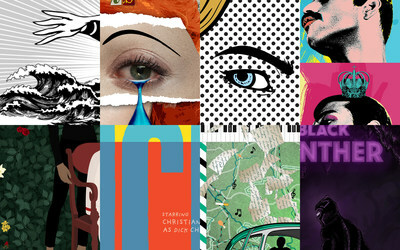 "This project is one that our designers look forward to each year because they get to showcase their talent, leveraging the incredible depth of our visual assets while drawing inspiration from their choice of pop artists who speak to them on a personal level," said Shutterstock's VP of Creative, Mike McCabe. "This year's nominations allowed us to really stretch our creative limits. Each film has a strong protagonist that we illustrated by using design assets that reflect a specific artistic style or movement, elevating each character to the realm of fine art." In addition to celebrating the Oscars through this poster series, Shutterstock photographers will be in prime positions, covering celebrity arrivals on the red carpet, as well as the press room and a number of parties at the 91st Academy Awards ceremony on Sunday, February 24th. Watch as the photos come in live here. Explore the full 2019 Oscar Pop! poster series here.